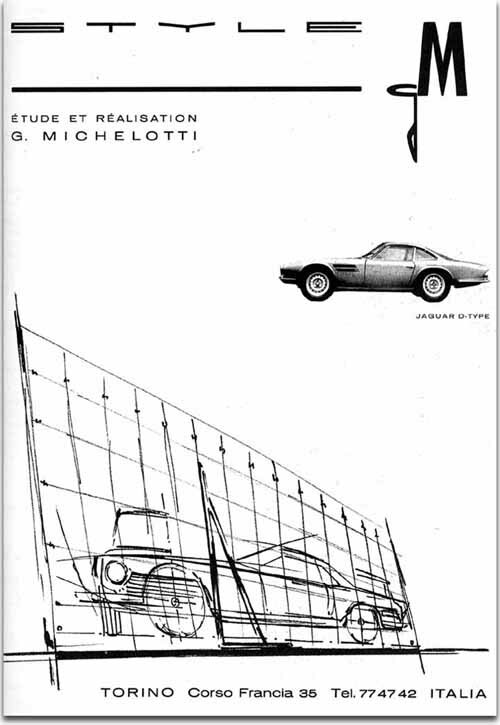 I was very nicely surprised to find a picture of Michelotti's D-type between D.C.'s pictures a couple of weeks ago (ref. to the older post HERE) because is one of the "unlucky" specials that never had the attention it deserved. It all started with XKD 513, a Jaguar D-Type short nose sold to the French Equipe Los Amigos for the 1957 Le Mans. Painted in the patriotic French Blue Livery it was taken by the duo Lucas-Brousselet to third place overall, in a glorious year for Jaguar (scoring and unrepeated 1st, 2nd, 3rd, 4th and 6th). Recording the average of 110.17mph was enough to leave in the dust a fierce opposition of Maserati, Aston Martin and Ferrari. The car was then equipped with a new 3litre engine to comply with 1958's regulation and registered its new entry for the French endurance with Jean-Marie Brousselet and Andre Guelfi. At 10PM, after many storms washed the track over and over, Brousselet lost control in the Dunlop bridge. The oncoming Bruce Kessler on his NART Ferrari could not avoid the collision with the blue D-type already overturned. 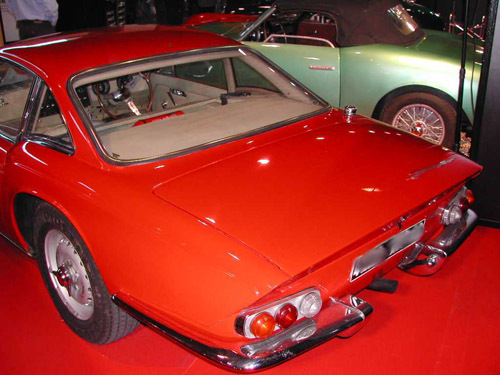 The main section of the remaining car was put into storage until 1960, when Italian designer Giovanni Michelotti bought it and took it to Turin for a styling exercise. The new design sat on the undamaged original chassis and was completed in time for 1963 Geneva Motor Show where it won first place. The car remained in Michelotti's hands until the end of the decade, when it was sold to Richard Carter and exported to the United States. Many sources state that the car was there used to raise money for an undisclosed Church, taken around on a trailer. In 1973 Andrew Gortway took this rare beauty out of that misery but didn't have good plans for it. He knew in fact what the original chassis was and asked Lynx Engineering to revert it to D-type specs. Thankfully the delicate Italian coachwork was not scrapped and it was equipped with the mechanics of a 4.2 E-Type (20 KOG). It is not clear what happened to the car next, but it is likely to have remained in the U.K. with Bill Lake for another decade the least. This would be confirmed by D.C.'s picture, even if unfortunately he is not able to give any further detail about what he did on the car and when. Michelotti's D-Type reappeared in France, where Roland Urban, the new owner, apparently managed to rejoin the car with some parts originally given to the Lynx replica. In 1999 the car was sold to Spain and it's not clear when it appeared for sale (and sold) on www.wspr-racing.com. 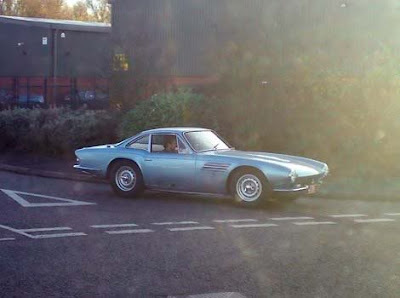 Some sources report the car being now in Switzerland but what is confirmed is that Williams-Welding in Oxford reverted it to the original light metallic blue of when it was first exhibited at the Geneva car show back in 1963. It is a very delicate dress for the D-Type chassis, gracefully balanced towards the rear axle in favour of a long and clean bonnet. The dashboard is frankly not up to the standard but the tail is a very happy interpretation of the Grand Tourer of the early sixties. It's easy to spot in the rear arches hints for the future Triumph Fury and the consequent Spitfire, whether the front will be a starting point for the OSI 1200 S Sport. In the following image Giovanni Michelotti is holding a preliminary model for this very car, and the similarity is quite obvious. I think I didn't make myself clear with the last sentence. When I wrote "In the following image Giovanni Michelotti is holding a preliminary model for this very car..." I mean the car mentioned in the sentence immediately before: the OSI 1200 S Sport. Thanks for your contribution thou.